But it wouldn’t be fun at all to talk about what you can’t do. So, let’s talk about some of the amazing things you can achieve if you do the proper research online and buy the appropriate materials. 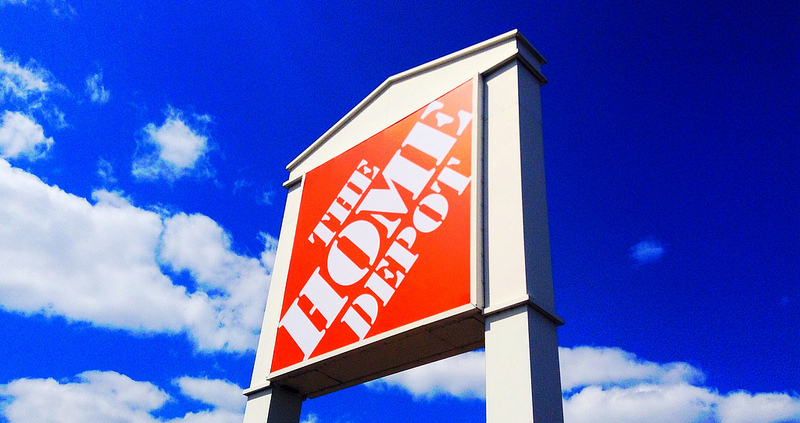 We like Home Depot more than Lowe’s because they’re much more organized and professional. We’ve completed a few DIY (do-it-yourself) projects from materials we personally bought at the Home Depot. We’ve accumulated some very valuable experience. So, we have a feel for this topic that’s quite firm. Do not seek professional or even casual advice from anyone working at the Home Depot. This is probably the single most important lesson you can hold on to. They can help you find the materials in the store you’re looking for. Do NOT seek out or listen to any “professional” advice they may have. They are NOT professional builders or contractors themselves by any stretch of the imagination! You do your self more harm than good by taking anyone’s advice there seriously. Their working knowledge of construction is limited (that’s putting it politely). Their “advice” is flat-out wrong and sometimes even dangerous to follow. 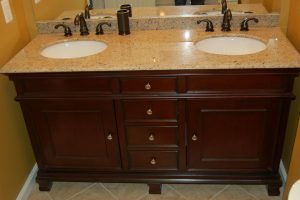 You set your self up for a very appealing and fun DIY project. Here’s some hot ideas for DIY projects you can tackle on a lazy afternoon. 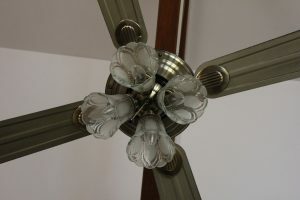 Attach a new cool ceiling fan. This is something that you need especially on a hot summer afternoon. It’s your choice which ceiling fan you’d like to buy. 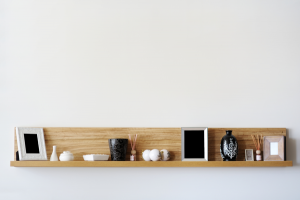 Why not get the most awesome one you can find for your home? They look like a million bucks, but they’re much more affordable than that. Find one that you really like and spend an afternoon having fun sorting out the pieces and hanging one up. Your inner child will thank you for the opportunity. It actually requires more physical strength than mental. Make sure you have someone strong to help you move the vanity as they can weigh quite a bit. You’re going to look at it and smile. You’re going to appreciate the smile it perpetually brings to your face. 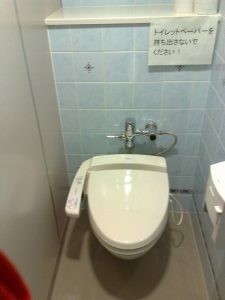 Get your self a new throne (toilet). Especially, if the one you have now is old and outdated. It is your kingdom after all we’re talking about here. Everyone needs a firm throne to rule over their kingdom, right (lol)? 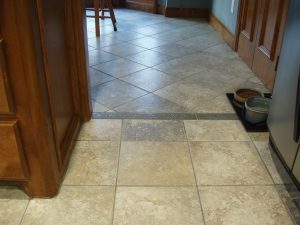 Install new ceramic or porcelain floor tiles and make your home really stand out! They look so nice that some people will drool at the sight of your home’s new tiles when they first see them. That’s okay though because tiles are easy to clean! Think about all the work you have ahead of you in your life. Now, think about the things you do to relax. 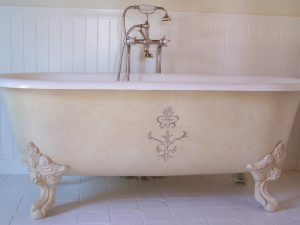 Then you need to allow your self the freedom to buy the bathtub of your dreams. Buy a new stove and get some hot meals ready! 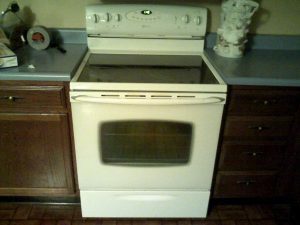 The store you bought the stove from will thank you. We’ll even thank you ha ha! 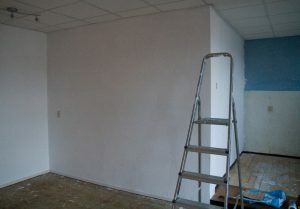 Paint a wall or two. Why not have some fun painting a new wall. It’s one of the most exciting things you can do as an adult and it doesn’t take an immense amount of effort. Just imagine how amazing the room will look. Get that new beautiful bathroom mirror you’ve been meaning to buy. They look great and you’ll look great too! 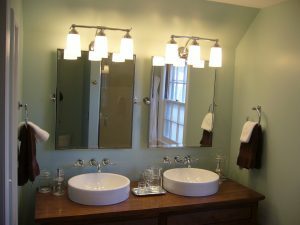 Mirrors have this inherent quality to them that cause a room to open up and seem as though they are much larger than they really are. Then you already know what you have to do. 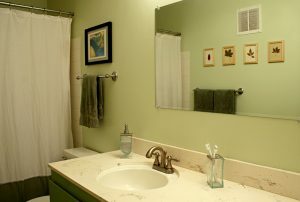 Place a new light fixture over the bathroom mirror. You owe it to your self to go out and find one that you really like. 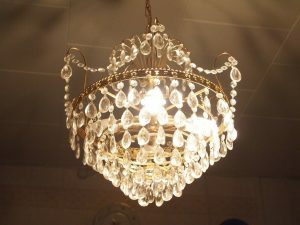 Light fixtures introduce a whole new dimension to your bathroom that will make the room look more expensive and fancy. 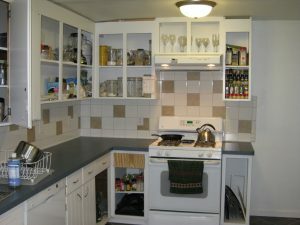 Lay out some tiles on the kitchen wall to really surprise your family. They’ll be so surprised at your remarkable abilities and talent. Then just do it already! Hang a book shelf up. You don’t even need books! You can put anything you want on a book shelf. Once you have the book shelf up, the rest will come naturally. 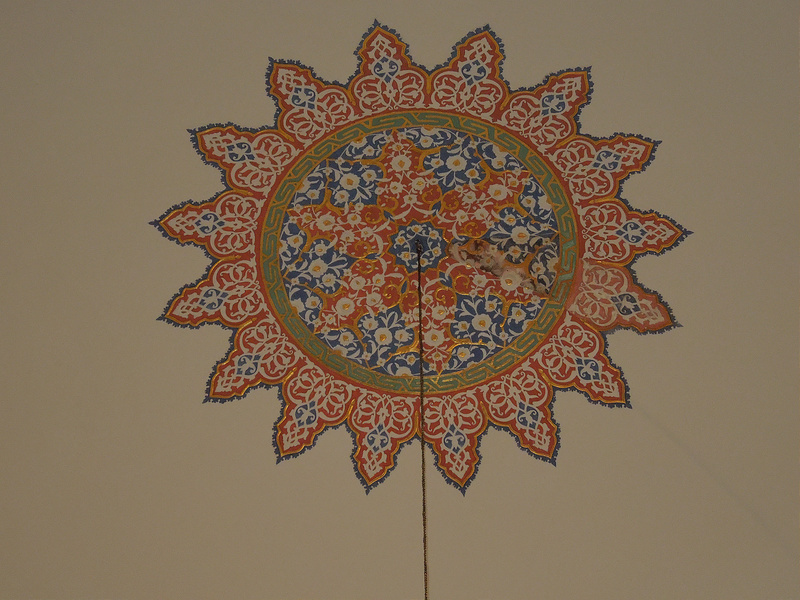 You don’t have to be an Italian Renaissance painter to make something really special of your ceiling. You’ll be able to produce a really awesome design for sure. 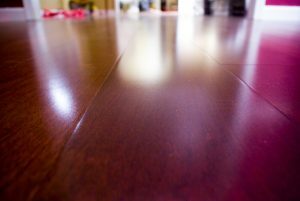 Who doesn’t love hardwood flooring?! We’d have to recommend hardwood over tile (except for the kitchen) any day of the week. 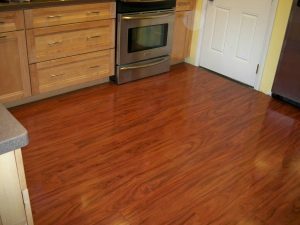 Hardwood looks better (especially the darker colored woods) and is much softer on the feet than tile. 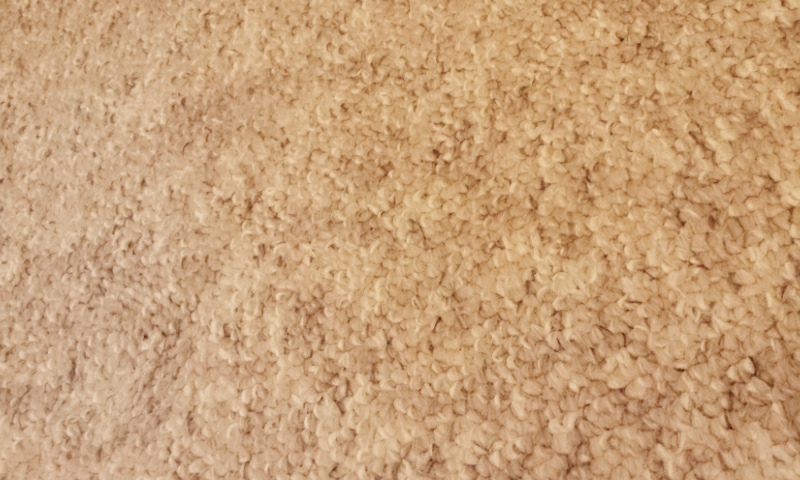 A new plush carpet to make your feet feel oh so warm. Carpet will never go out of style. Carpet feels so amazing on the feet. Placing your feet on carpet instantly puts you in the mood to relax and drink something warm. That new cabinet you’ve been drooling over is waiting for you! 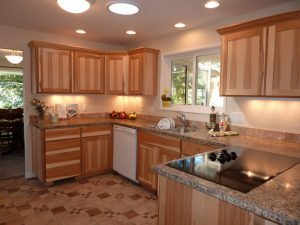 Cabinets add depth to an already good-looking kitchen and offer you all the space you need to hide your kitchen items out of sight and out of mind. 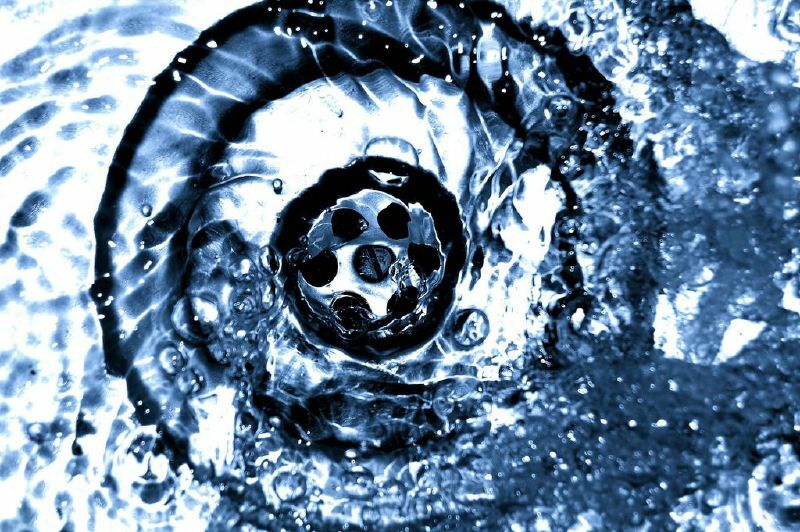 Buy a new sink and let your worries flow away down the drain. 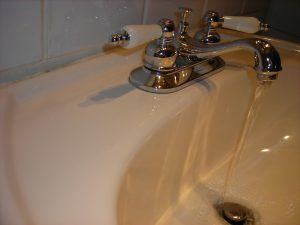 It’s to buy your self a good-looking sink and just watch the dirt and troubles flow away. It has a nice calming effect to it. You know this looks cool. 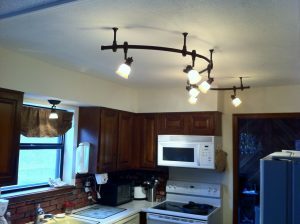 Everyone that walks into the room will automatically be drawn to the new light fixture and compliment you on your tastes. Then you can offer them some of your famous home made lemonade, lol. But man would it be worth it! An attractive outdoor kitchen is the absolute pinnacle of good taste in both food and design. Now, your door really is the only way in or out! You don’t let strangers into your home, so why let the elements inside? 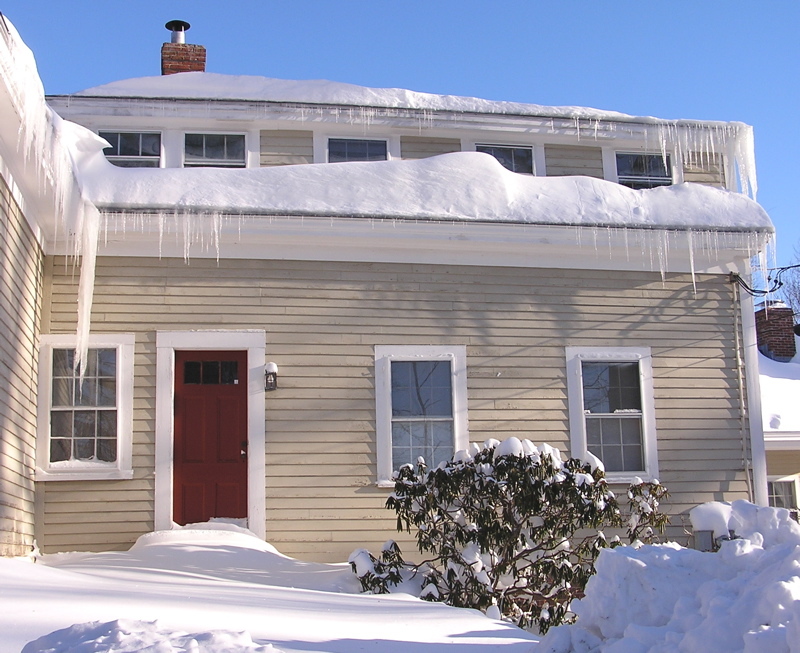 Ensure that there’s never an unexpected puddle inside your home by weatherproofing your front door today. 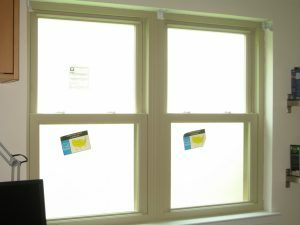 Improve energy efficiency with new windows! You gotta love it when your home has brand new energy efficient windows on display! The increased efficiency means a lower energy bill, too! 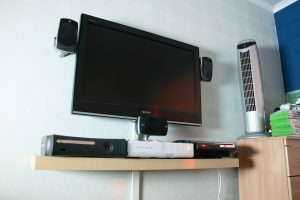 Wall-mounting a flat screen TV looks way better than letting it stand on a flat surface. Just look at how good and organized this set-up is. Now imagine if all that was on the floor for kids to trip on. Hey, it looks just as good as hardwood doesn’t it? It looks just as good as the real deal. Head over to the flooring section today and find a variety that you like. They might just be the best thing to happen to floors ever! They look amazing and are extremely easy to install too! They seem to work really well. 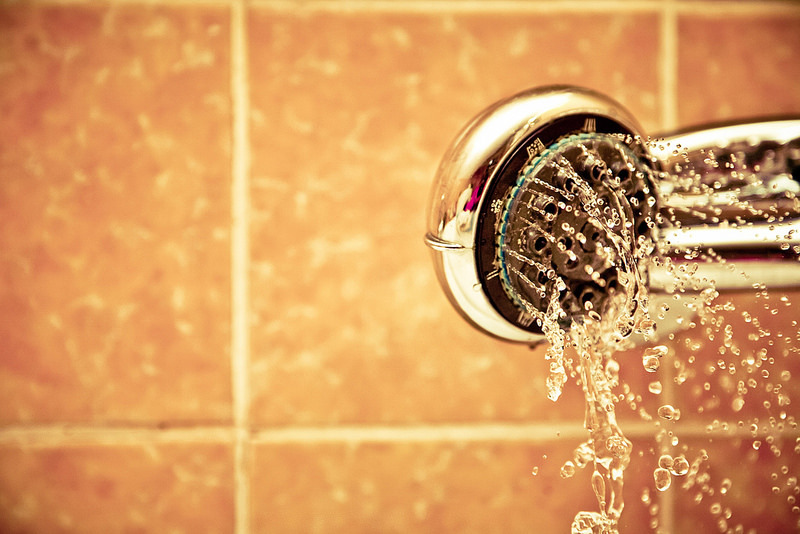 Get that new shower head to make your mornings that much better. Imagine the sensation you’ll feel when the water pressure you receive is constant and firm. That’s how every shower should feel. 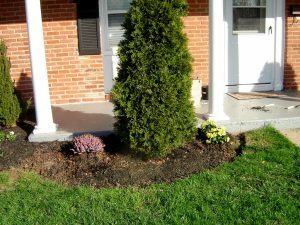 Plant a new tree or shrub. The planet thanks you for your service. It’s a fun, easy, fast project you can complete in an afternoon. You’ll have a brand new plant to enjoy for many years to come. Give your landscape some wow factor at night with pathway lights. They spur a feeling of hope and happiness. 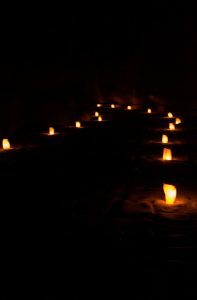 You’re sure to experience those feelings the more pathway lights you lay out. 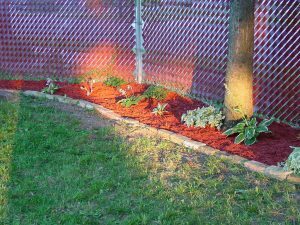 Plant a flower bed out back or front. You’ve now made the world a more beautiful place. Everyone that sees your work will feel inspired to go and do the same. Beauty is a contagious thing. Lay out some sod for the kids to play on. Would you rather have them get dirty and bring all that dirt inside with them? 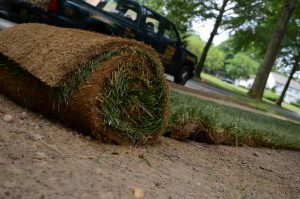 Let’s place some fresh sod outside for them to play comfortably on. 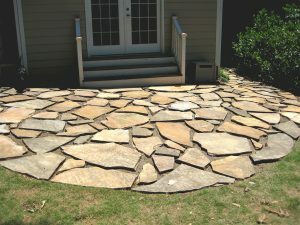 Throw down some decorative stones like you mean it. This is your home and you’re going to improve it. You can achieve some truly stunning designs for the world to see and admire. 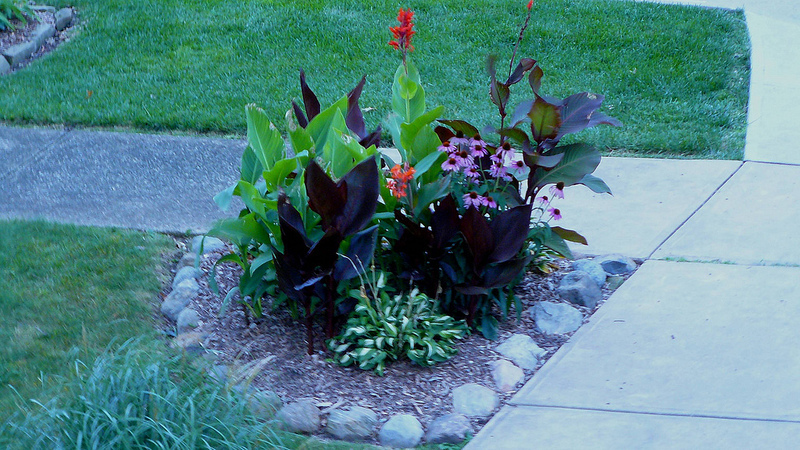 It provides your yard with a striking contrast that’s hard to ignore. 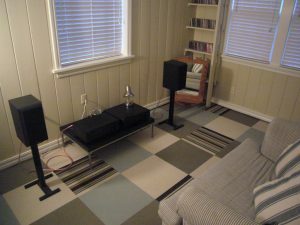 Viewers will appreciate the variety of color you have laid out back for them to admire. Protect yours with a new fence. 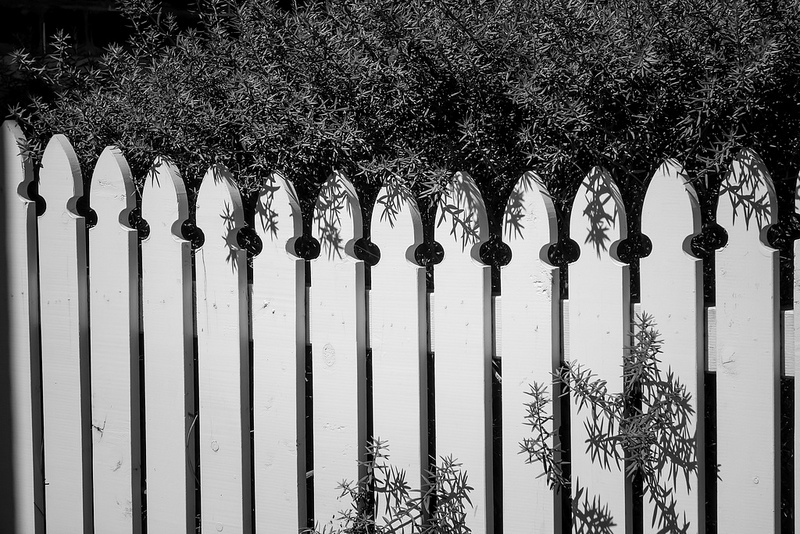 A fence can only provide as much privacy as it is tall and wide. Opt for the widest and tallest fence you can find. That’ll keep unwanted attention out for good! 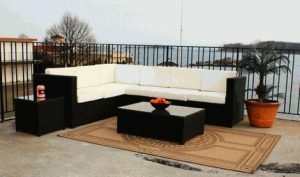 Patio furniture may be the single best thing you ever do to help your backyard look and feel its best. Just look at how amazing this photo looks! You’re sure to feel satisfaction inside once the project is completed. 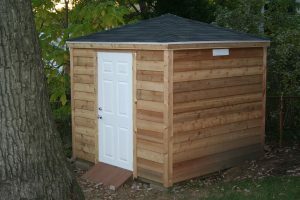 A new outdoor shed will help to keep your backyard tidy and organized. There’s no need to throw all your tools on the lawn to rust up and be forgotten. 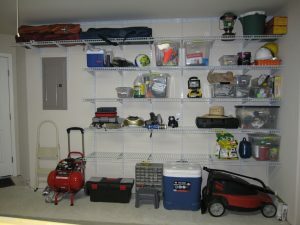 You can hide and organize those tools in a protected and safe environment. Give them the right message with you-know-what (hint hint). 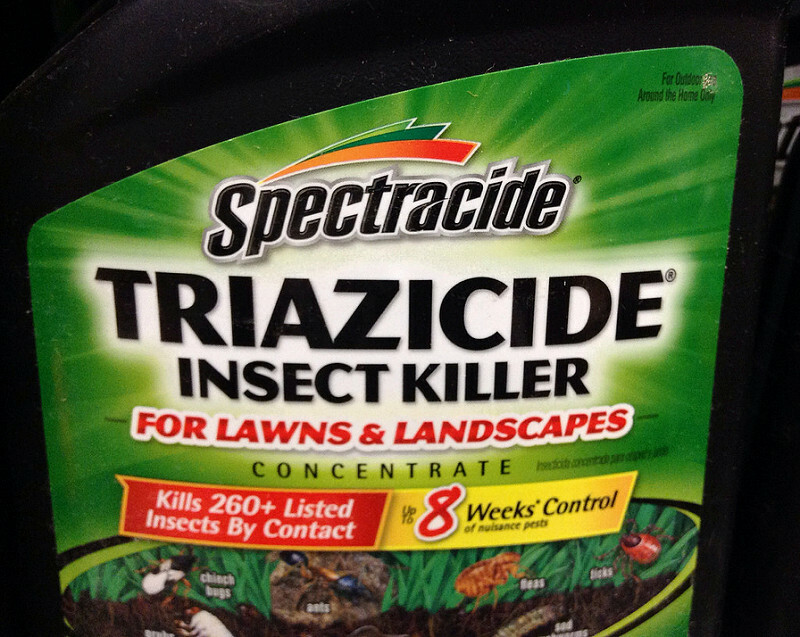 Protect it with insect killer and let all the insects know that this is not a place they can harm you. Yup, that’s a project you can be proud of for years to come. It doesn’t have to be really expensive or extravagant either. 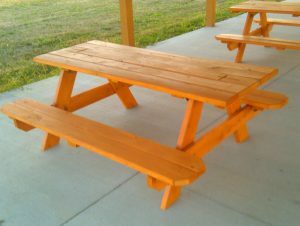 You can just follow a simple plan to build a simple, yet durable picnic table. The first meal on that table will be really special. 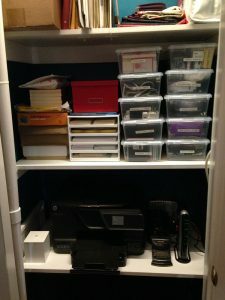 Get your self some storage boxes to place all that mess in your closet inside. Now, you have an attractive closet you can be proud of! Set up some shelves in your garage. Isn’t it about time you cleaned the place up. It doesn’t take as many shelves as you might think to really cozy up the place. Just place them at a sufficient enough distance in height from one another and you’ll be set for good. 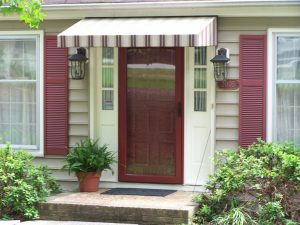 Okay maybe you can just install the storm door instead lol. You’ll be really happy you did when the weather turns sour. Which of these projects do like best? Are there any you have completed already?